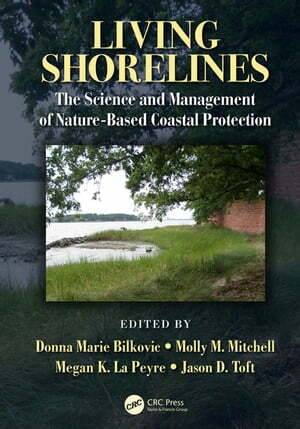 Collins Booksellers - Living Shorelines by Donna Marie Bilkovic, Molly M. Mitchell, Megan K. La Peyre & others, 9781351647502. Buy this book online. Living Shorelines: The Science and Management of Nature-based Coastal Protection compiles, synthesizes and interprets the current state of the knowledge on the science and practice of nature-based shoreline protection. This book will serve as a valuable reference to guide scientists, students, managers, planners, regulators, environmental and engineering consultants, and others engaged in the design and implementation of living shorelines. This volume provides a background and history of living shorelines, understandings on management, policy, and project designs, technical synthesis of the science related to living shorelines including insights from new studies, and the identification of research needs, lessons learned, and perspectives on future guidance. International perspectives are presented from leading researchers and managers in the East, West and Gulf coasts of the United States, Europe, Canada, and Australia that are working on natural approaches to shoreline management. The broad geographic scope and interdisciplinary nature of contributing authors will help to facilitate dialogue and transfer knowledge among different disciplines and across different regions. This book will provide coastal communities with the scientific foundation and practical guidance necessary to implement effective shoreline management that enhances ecosystem services and coastal resilience now and into the future.